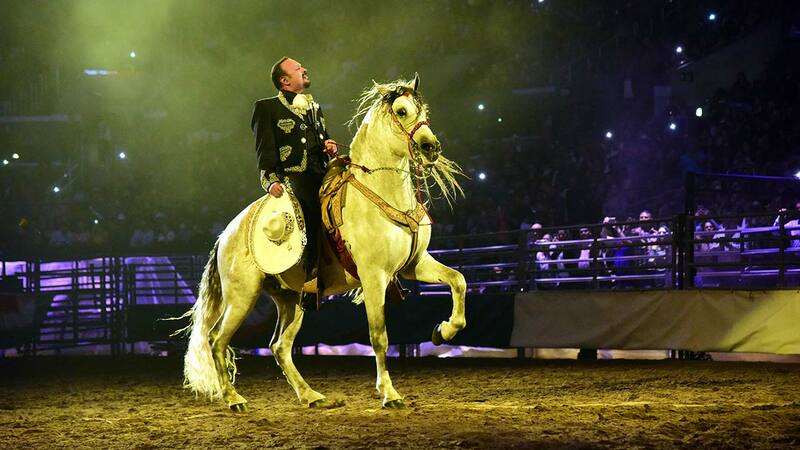 FRESNO, Calif. (KFSN) -- Mexican singer Pepe Aguilar has announced a September 2, 2018, concert at Fresno State's Save Mart Center-Jaripeo Sin Fronteras with Pepe Aguilar and Family featuring Christian Nodal. Tickets go on sale March 16 at 10 a.m.
"I am tremendously proud and thankful that life has allowed me to revive a story that started many decades ago. My father (the legendary Antonio Aguilar) a humble man from Zacatecas without academic education but well educated from life and from the heart, got to the farthest reaches of the continent, carrying as a flag his traditions, his music, his culture and his Charro suit," Pepe Aguilar said. You can get your tickets at ticketmaster.com or by phone at 800-745-3000 or at the Save Mart box office.